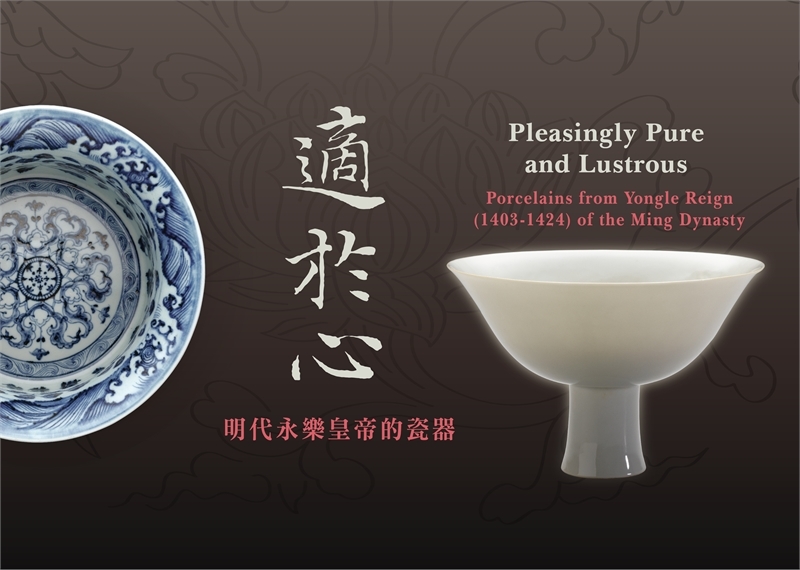 “Pure and lustrous, indeed pleasing to the heart” is how the Yongle emperor praised his own porcelain that he loved so much. Emperor Chengzu, the third ruler of the Ming dynasty with the personal name Zhu Di, took Yongle as his reign name, by which he is commonly known. During the twenty-two years of the Yongle reign (1403-1424), the Ming dynasty witnessed major advances both culturally and militarily. Examples of the major projects sponsored by the Yongle emperor include construction for the vast Forbidden City in Beijing, the dispatch of many expeditions (such as fleets to Southeast Asia), compilation of the enormous Yongle Encyclopedia, and the production of numerous imperial wares, representing but some of his important contributions. Among them, the porcelains that the Yongle emperor so admired still survive today some six centuries later. 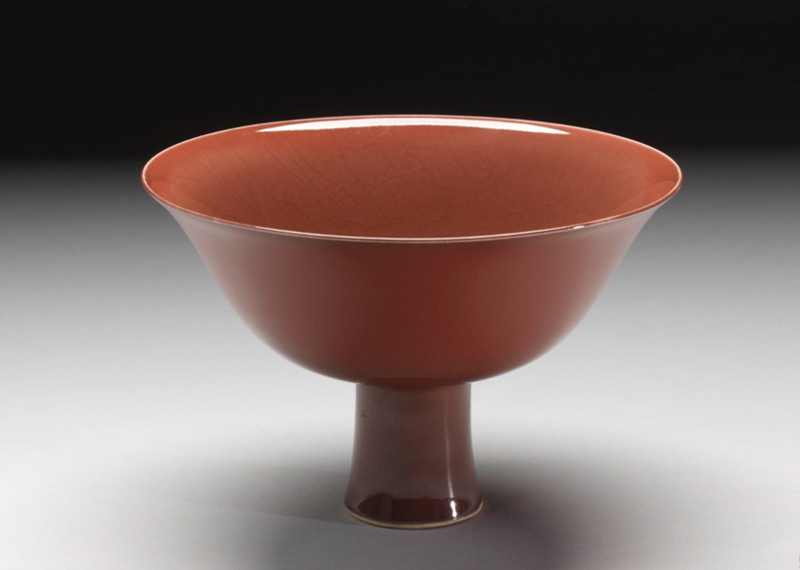 Not only do Yongle porcelains represent the achievements of imperial arts and crafts, they also serve as concrete testimony to multicultural exchange that took place at the time. The porcelains that best represent those made for the Yongle emperor are so-called “sweet white,” underglaze-blue, and red-glazed ones. 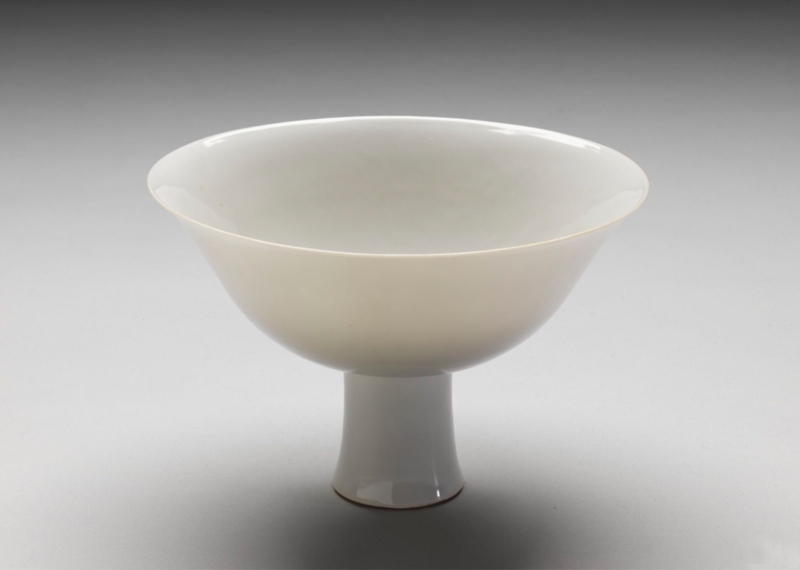 Sweet white, an innovation of the Yongle reign, is notable for its tranquil and elegant character, injecting new vitality into the tradition of white-glazed porcelain. 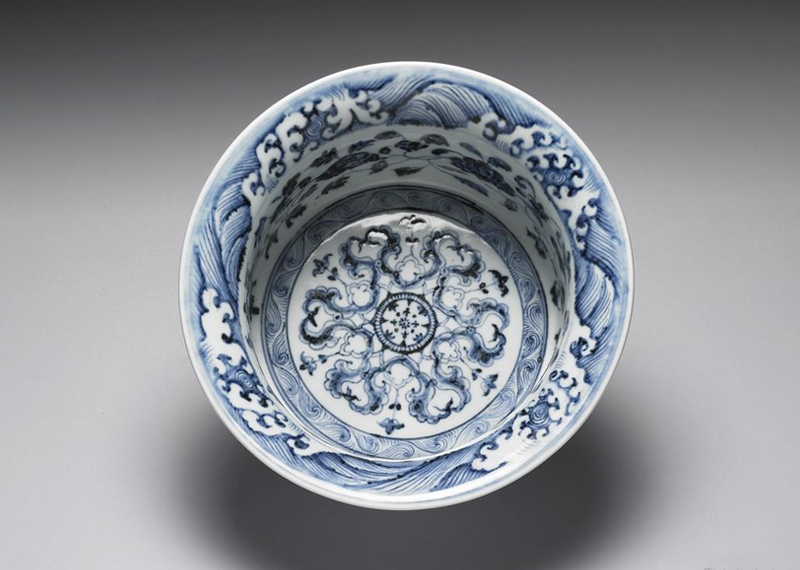 The forms of underglaze-blue porcelains, also known as blue-and-white, are particularly numerous, with several new types being the product of multicultural interaction. Red-glazed porcelains, with their lustrous and vibrant hue, also became an object of imitation among later generations. In response to and under the supervision of the court, “authorized types” of porcelains by the court were sent to kilns for production. The phenomenon whereby official wares were made with well-defined forms, pure colors, and decoration conforming to specifications was also established at this time. Those works that did not adhere to norms set by the court were smashed and buried, the remaining finest porcelains becoming objects for state rituals, imperial use, or gifts bestowed as rewards upon visiting members of states with diplomatic ties. The Yongle porcelains in the collection of the National Palace Museum are considerable in terms of both quantity and quality. This exhibit features a special selection of approximately a hundred works divided into three sections. The first part is entitled “Fired for the Court,” presenting the character, appearance, and unique features of porcelains made in the Yongle reign. The second section, “Interaction with the Outside,” shows how exchange between the Ming court and Tibet as well as Central and West Asia was manifested in porcelains. Finally, the third one on “Tradition and Imitation” demonstrates how porcelains of the Yongle and Xuande reigns in the Ming dynasty were emulated in the Kangxi, Yongzheng, and Qianlong reigns of the following Qing dynasty. It is hoped that visitors will be able to appreciate the period and cultural significance of Yongle official porcelains that survive today through this exhibition.